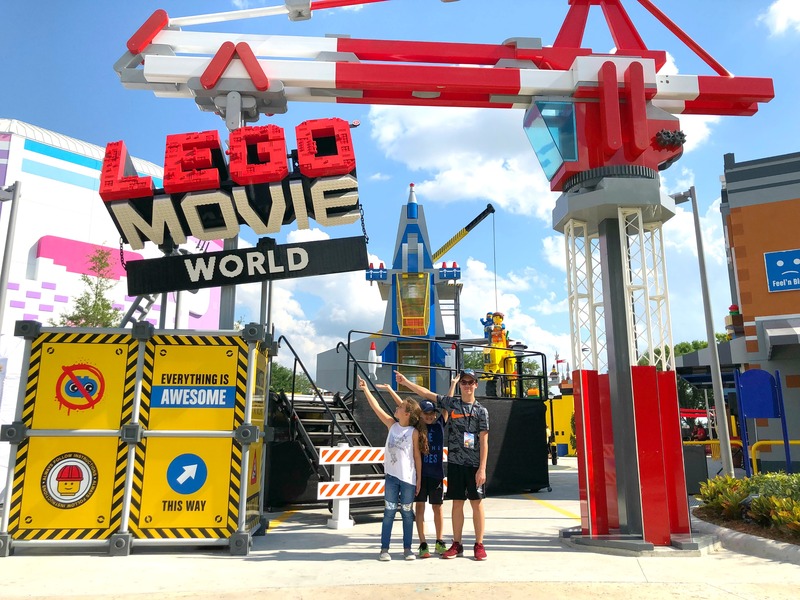 Disclosure: We received complimentary LEGOLAND tickets to cover The LEGO MOVIE World at LEGOLAND Florida Grand Opening Celebration. 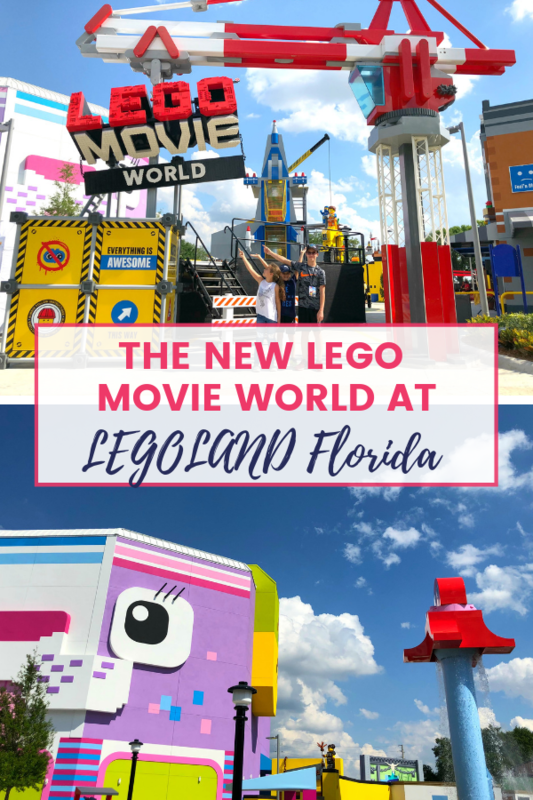 The LEGO Movie World opened at LEGOLAND Florida on March 27th and it is AWESOME! 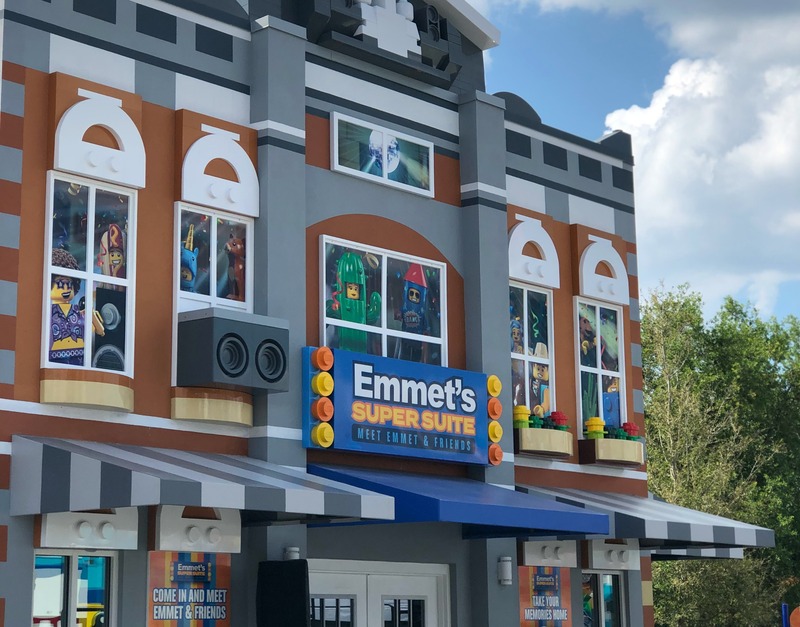 If you haven’t visited LEGOLAND recently, now is the time head over and visit Emmet in this cool new LEGOLAND Movie world that features all new rides, shows, and attractions. The new world contains 3 new LEGOLAND rides, a new food option, play structure, and Character Meet and Greet area. 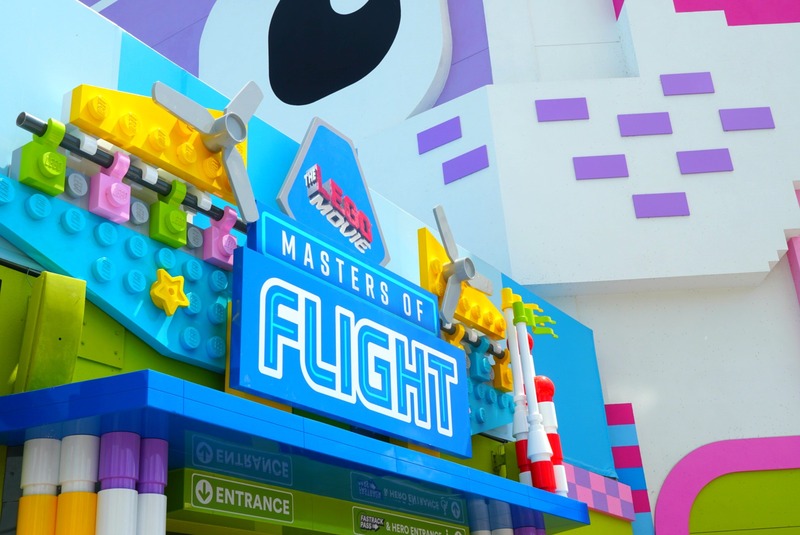 THE LEGO MOVIE Masters of Flight takes riders on a flying adventure on Emmet’s Triple Decker Couch. This ride is a full dome theater flying ride with similarities to the Soarin Ride at Disney World, but definitely a ride of its own with the potent smells and special effects. This was our favorite new ride at LEGOLAND so we took the flight multiple times. I did notice that sitting in the middle of the row gave more of a turbulent ride than the seats at the end of the row, so if a member of your family suffers from motion sickness, I would try to grab a seat at the end and see how you feel. 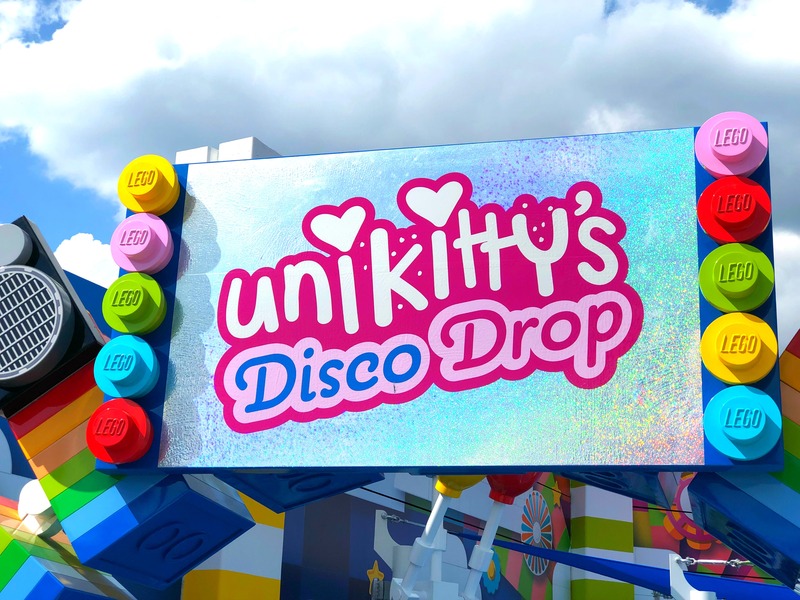 Unikitty’s Disco Drop takes riders to the top of Cloud Chuckoo Land, then drops, spins, and bounces back down to earth. 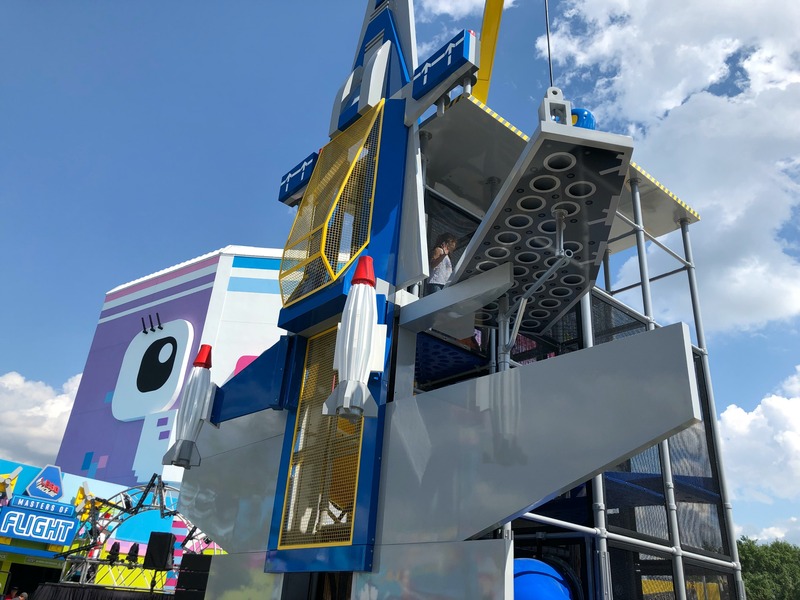 This ride is perfect for all ages, LEGOLAND did this drop ride right. 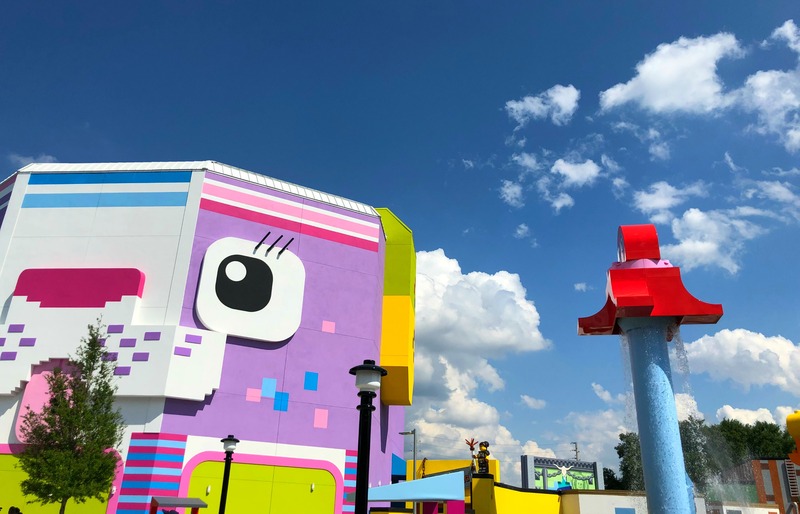 From the ground I thought this would be more of a kiddie ride, however, once I was on the Unikitty’s Disco Drop I definitely felt the drops and spins enough for the ride to give you a jolt of excitement without it being an intense ride. 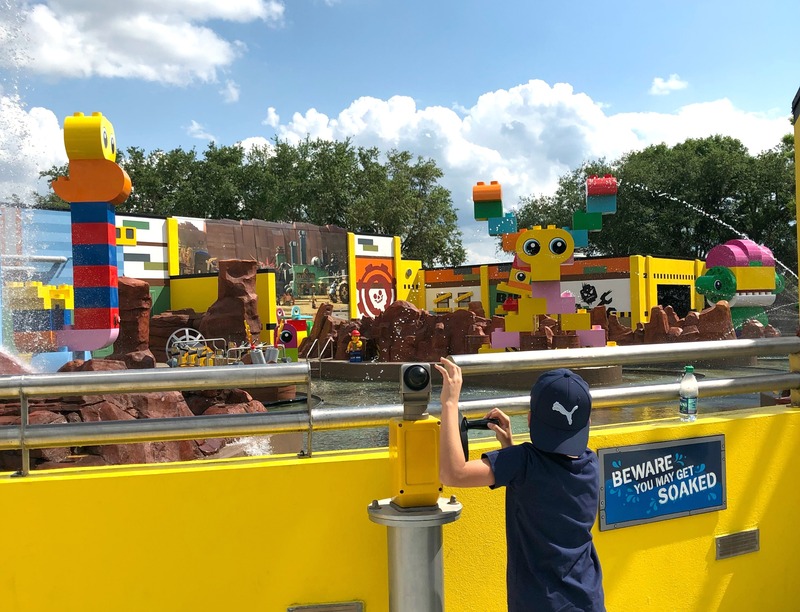 Battle of Bricksburg is the only water ride at LEGOLAND Florida Resort and you will get soaking wet as you are challenged to stop DUPLO aliens from invading and stealing LEGO bricks. Your family gets onto a boat that is loaded with water cannons along each side for each person to spray water at the targets. There are also cannons outside of the ride for guests to either help the riders save the day or help the riders get even wetter. 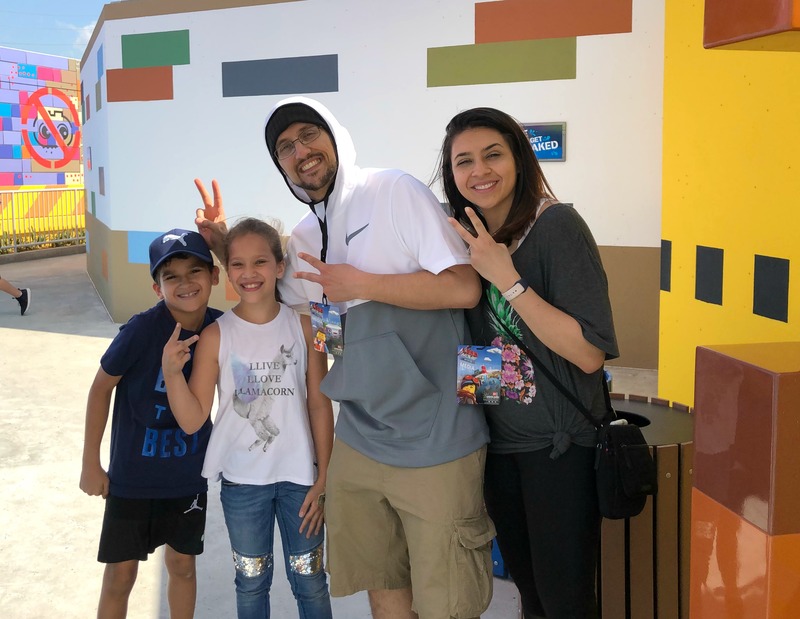 We loved how interactive this ride was, we had to work together as a family and our boat was definitely full of laughter. Emmett’s Super Suite – Stop by Emmet’s apartment and meet some of your favorite characters from The LEGO Movie! In LEGO Movie World Taco Tuesday is Every Day! We tried the Flame Grilled Chicken Taco and the Chilled Krab Salad Taco, we are big taco fans so these were a delicious twist on a meal my family loves. 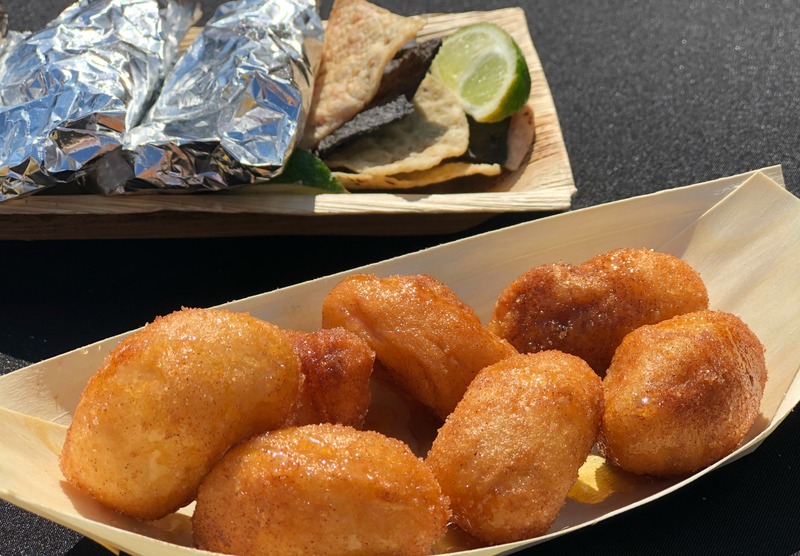 For a sweet treat, we also tried the Double Decker “Sofa-Pilla” bites, these are cinnamon-sugar pastry bites that are drizzled with buttery honey. The morning of LEGO Movie World’s Opening Celebration was unusually cold for a Spring morning in Florida. In a pinch with a child who insisted he was freezing we ventured into the Awesome Gift Shop. I was very impressed with the merchandise selection and prices. As I grabbed an Emmitt sweatshirt that was priced at $35, Aidan’s face started to light up at the sight of the Emmitt mask that was priced $10. LEGOLAND offers multiple ticket options starting at $80.99. To choose the admission that is right for your family check here. 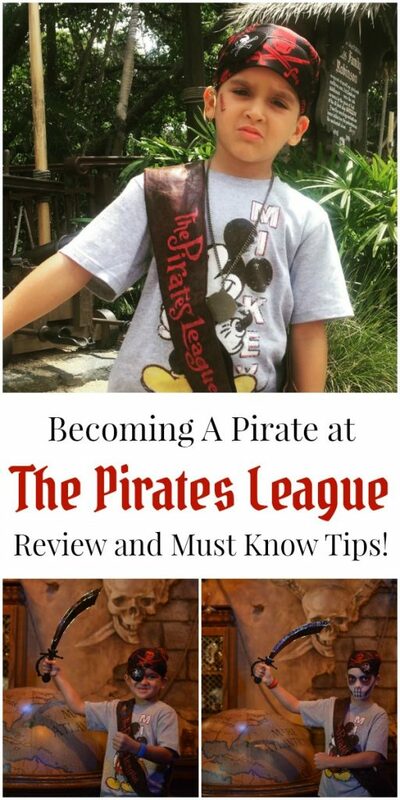 Ticket options include basic LEGOLAND access, LEGOLAND water park entry, food, multi-day visits and more. The ride wait times in The LEGO Movie World are likely to be longer than other rides in the park, so I suggest visiting this area first thing in the morning. To get to The LEGO Movie World, walk straight into the park till you get to the double-decker carousel, at the carousel stay to the right and enter into DUPLO VALLEY. You will see the large LEGO Movie World sign on the opposite end of DUPLO VALLEY. Visit the LEGOLAND websiteLEGOLAND website for prices, times, and schedules. 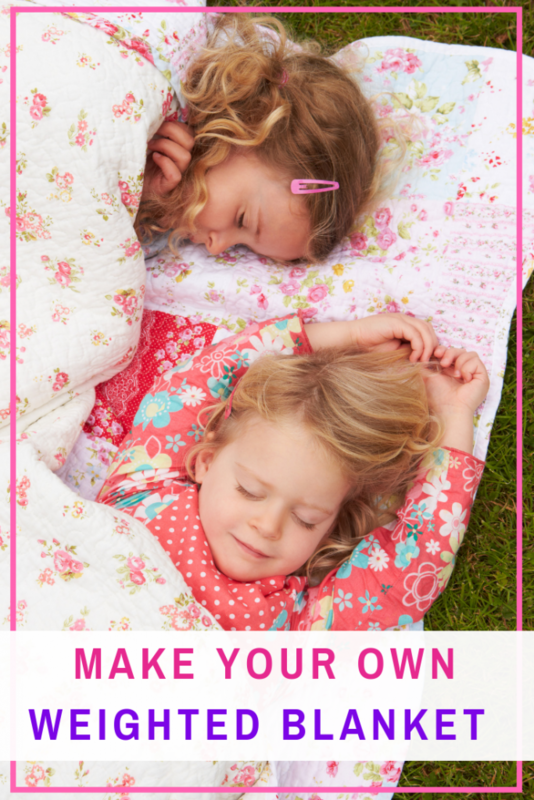 Plus, don’t forget the hotel and LEGOLAND castle to make the most of your stay. I’d also like to send a huge thank you to the FGTEEV Family for being so kind to these two super fans! My son would LOVE to explore that! He loves all the the Lego movies and this would be a dream come true for him! Looks like it was a blast! Oh my gosh, this is awesome! We recently saw The Lego Movie 2 so this would be so neat to see. My kids have always loved legos. This looks like a pretty amazing time. I can’t wait to visit LegoLand with my family. I’m planning to take the grandkids here but I’m not sure we’ll make it this year. We have so many plans already but maybe we can find the time (and money). I love how legos make them use their imagination so I’m always buying them some (and stepping on them). They’ve been wanting to go to the Lego Movie World and I want to be the one to take them. We went to Disney a few years ago but we did not make it to LegoLand. I was disappointed! We will have to go back and visit. I have seen one Lego movie and we really liked it. Haven’t seen the others, but we will. I think kids will go gaga over Legoland! 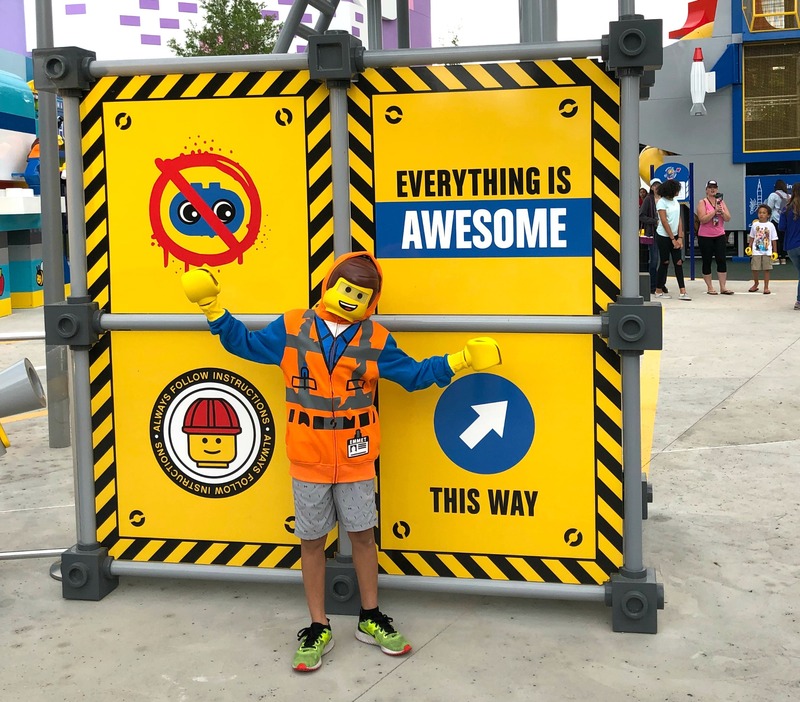 The sign is absolutely perfect… everything is awesome! I can’t wait to go back!! We went last March and didn’t get to see all of this! It looks Legoland is so much fun!! I have a lego obsessed nephew, I need to take him!! It’s a place that every kid would like to visit it! I am sure that mine will be so happy! What a fun place to explore with the whole family. Looks like everything is awesome indeed. Oh wow. This is so cool and awesome! A lot would be so happy. 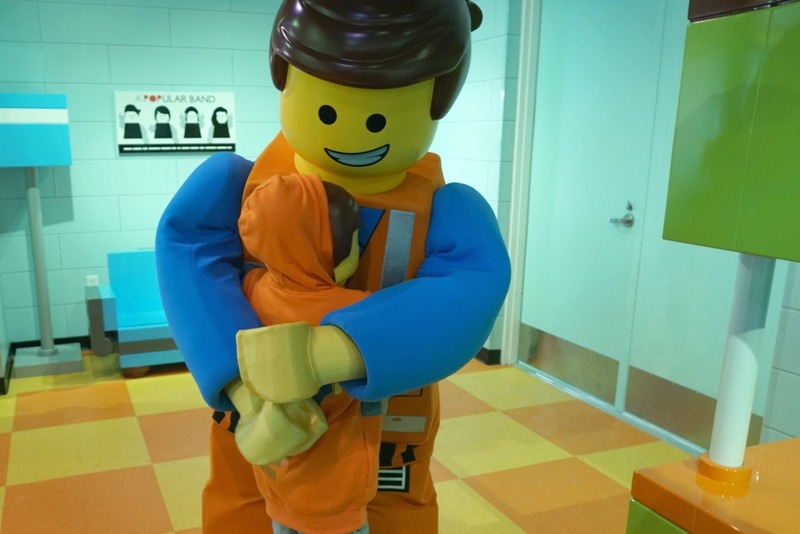 My kids would love to go to Lego Movie World. They are obsessed with the movies and we have legos all over our house. Everything is Awesome! It sounds like your family had a great day. The Battle of Bricksburg sounds like it would be very fun on a hot day, but one I’d skip if it was chilly. 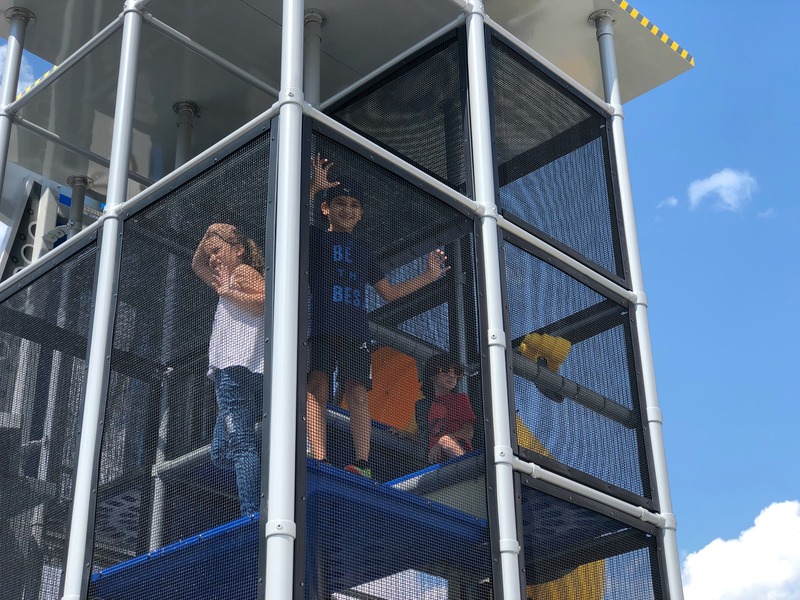 WOW, we go to the LEGOLAND Grapevine, TX a lot and have fun…but this one looks much better and looks like there’s more outside. Way to go meeting the FGers (s[) on YouTube.